Sometimes it seems like a miracle that life can be created so easily. All it takes is a tiny seed, sunlight, water and a little tender care. Before you know it, you have beautiful plants and flowers! 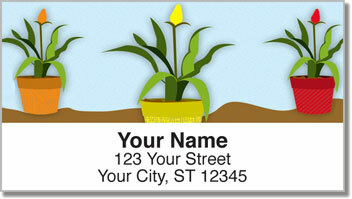 Whether you consider yourself a green-thumb or a newbie in the art of growing a garden, these eye-catching return address labels are a fun choice! 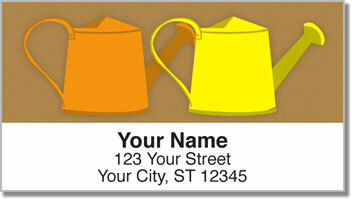 Tools of Gardening Address Labels from CheckAdvantage will make you want to grab your work gloves, fill up the watering can and head outside! Use this convenient time-saving tool on all your letters and packages. 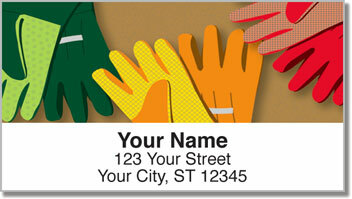 Thanks to a self-adhesive backing, you'll never have to write your name and address on an envelope ever again! 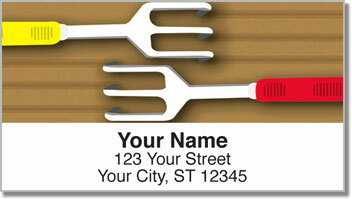 Order your own Tools of Gardening Address Labels today! You'll also find them in a matching personal check design.